America’s war on Vietnam may have officially ended 40 years ago, but the Southeast Asian country is still battling with the horrific legacy that the US military bequeathed. Yet last week, US Secretary of State John Kerry, while in Hanoi, eulogised about how the two countries are «healing» and forging a new«partnership». Kerry was speaking on the 20th anniversary of «normalising ties» between the US and Vietnam that began in August 1995, more than 20 years after the war’s end. «It took us 20 more years to move from healing to building. Think of what we can accomplish in the 20 years to come», said Kerry. The American diplomat’s blithe account of «healing to building» belies the ongoing horror for some three million Vietnamese who live with the poisonous legacy of US war on that country. That number is about the same as the total of Vietnamese who died during the war from American saturation bombing and ground war. Between 1961 and 1972 – three years before the war ended – the US military dropped a total of 20 million gallons of highly toxic herbicides on what was then South Vietnam. The New York Times reported the affected area was «about the size of Massachusetts» or some 27,300 square kilometres. That equates to over 15 per cent of the total territory of what was then South Vietnam. The most well known of these defoliating chemicals was Agent Orange, which the Americans sprayed on forests and croplands from aircraft and river navy boats, with the alleged purpose of denying tree cover and food supplies to the South Vietnamese insurgents of the Vietcong. VAVA’s vice president Tran Xuan Thu says that as long as victims continue to suffer and new cases emerge then, «The war has still not ended». The health impacts from the US chemical spraying across southern Vietnam include a litany of cancers, tumours, neoplasms, skin diseases and congenital birth defects. Tran Thi Le Huyen, who is now 29, was born more than 10 years after the war’s end in 1975. She lives near Da Nang in central Vietnam from where the US military ran its main Agent Orange flights, known as Operation Ranch Hand. Tran has been bedridden since birth crippled from her twisted, emaciated legs. 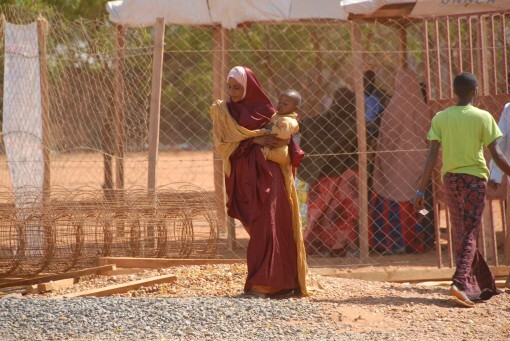 Her mother said: «We have visited various hospitals, but there was no place that offered any treatment». Danish citizen Bente Peterson, who directed VAVA detoxification projects for nearly 10 years up to 2013, recalled to this author innumerable cases of whole families destroyed by poisoning from Agent Orange. She remembered one tragic Vietnamese war veteran in particular who raised three sons only to watch all of them die from different cancers. Proportionate to population, the number of Agent Orange victims in Vietnam today would be the equivalent of some 10 million Americans suffering from similar life-threatening diseases. While thousands of US military veterans who also succumbed to Agent Orange toxicity have received chemical companies (Monsanto, Dow) that manufactured the herbicide, the Vietnamese people have never obtained any reparation from Washington. Class-action suits brought by Vietnamese victims have repeatedly been rejected in US courts, the latest being in 2009 by the US Supreme Court, even though these same courts ruled in favour of American veterans receiving compensation as far back as 1984. Washington maintains that its use of herbicides in Vietnam were not knowingly targeting civilian populations. Therefore, it claims, Agent Orange was not used as a chemical weapon. But that seems like cynical word play when millions of acres of crops and forests were indiscriminately sprayed, with the full knowledge that the wider population would be contaminated. Also, industrial analysis showed as far back as 1957 that the herbicides used by the American military in Vietnam contained traces of highly toxic and carcinogenic dioxin. Under public pressure over the health dangers voiced by US scientists and the citizens’ anti-war movement, the Agent Orange operation was officially cancelled in 1972. In 2012, the US Congress finally earmarked some $40 million for cleaning up toxic areas in Vietnam. Whether the full money is actually delivered is another point. A more realistic financial cost for the clean-up across Vietnam would be in the billions – and that is not including the billions more that would be required for proper medical treatment of victims. So far, the former US air base at Da Nang has undergone partial detoxification of its soil and nearby waterways. But there are dozens of other so-called dioxin «hot spots» scattered across southern Vietnam and adjacent to the borders with Cambodia and Laos. Phung Tuu Boi of the Vietnam Forestry Science and Technology Association, which has been involved in replanting mangroves and upland areas destroyed by the American defoliation, says: «Centuries will be needed to restore the destroyed environment». Forty years after devastating Vietnam, its people and environment, Washington’s «clean-up» assistance appears like a mere drop in the 55-gallon drums it used to drop Agent Orange on that country. It is woefully inadequate reparation for the millions of victims and generations of suffering children to come. A closer reading of the Vietnamese press reports on John Kerry’s visit last week reveals the bigger US concern. Kerry might have talked about «healing» but he reportedly said very little about the plight of war victims or what Washington should provide in direct medical aid. Of more importance to the US secretary of state was apparently the desire to implement the Trans-Pacific Partnership (TPP) with 11 other Southeast Asian nations. Vietnam is seen as key to the US cementing the TPP, which pointedly excludes China from the trade pact. Kerry also told Vietnamese political leaders that Washington was moving towards lifting restrictions on arms exports to Vietnam, and he emphatically reiterated America’s support for the country in its territorial maritime disputes with China. The belated American moves to help detoxify its legacy in Vietnam first began in 2011 when Hillary Clinton was the US Secretary of State. That move also coincided with the «Pivot to Asia» policy under President Obama when Washington signalled that it would henceforth be targeting China as a top geopolitical rival. Since then, tensions between Washington and Beijing have steadily escalated. So, when Kerry talks about how Vietnam and the US need to quickly move from «healing to building partnership» we can safely deduce that America’s real objective is to enlist Vietnam in its geopolitical calculations against China. Vietnam’s leadership may be flattered by preferential trade concessions and supply of US warships. But, just as the millions of Agent Orange victims testify, the purported partnership with Washington will prove to be a toxic relationship. 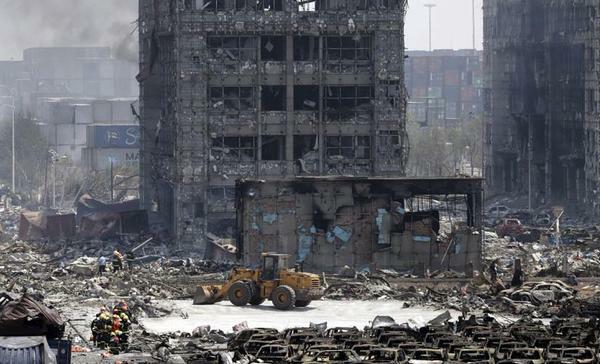 A total of seven or eight explosions rocked the Tianjin blast site Saturday, prompting armed police to evacuate residents within a three-kilometer radius. Wednesday’s double blast at a chemical warehouse killed 104 people and injured more than 700. Fires broke out at the blast site in the Chinese port city at 11:40 a.m. local time Saturday, according to state news agency Xinhua. Seven or eight blasts from three separate locations were reportedly heard at the scene. Following the fire, police began evacuating those within a three-kilometer radius, saying they were acting on “orders from higher authorities,” Beijing News reported. “No people or vehicle[s] [are] allowed within the area,” a police officer said. The new explosions come just three days after two blasts at the chemical warehouse left at least 104 people dead, more than 700 injured, and thousands homeless. At least 21 firefighters are among the dead, making the disaster the deadliest for Chinese firefighters in more than 60 years. One of the blasts was equivalent to 20 tons of TNT exploding. The Chinese officials have not determined the full list of chemicals at the site, saying that further investigation is needed. The chemicals stored in the warehouse could possibly include sodium cyanide, Gao Huaiyou, vice head of the Tianjin bureau of work safety, said at a press conference Saturday morning. At the same time Bao Jingling, chief engineer of the municipal bureau of environmental protection, claimed that 17 monitoring sites had not detected any cyanide. The list of dangerous chemicals which were possibly stored at the site might also include potassium nitrate and ammonium nitrate, Chinese media reported. Meanwhile, relatives of those affected by the explosions are demanding answers. Family members of missing firefighters stormed a government news conference, insisting on information about their loved ones. 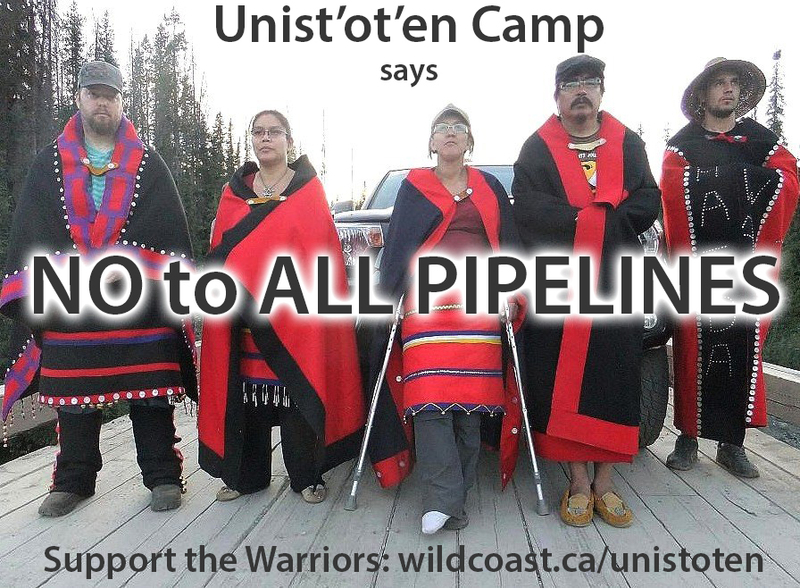 Good news - the pipeline surveyors have not returned to Unis'tot'en Camp, and the RCMP have taken down their checkpoint on the Morice River Road near the place where indigenous people are blocking the route for Tarsands and fracking pipelines. But is this the calm before the legal storm? One thing for sure: the confrontation did more to bring us together than drive us apart. Land defenders and allies are more determined than ever to stop pipelines. One factor that's holding off the police and pipeline crews might be the letter the BC Civil Liberties Association sent to the RCMP. Catch up with the whole story that we started reporting on two weeks ago. Unis'tot'en clan members are coming to tell us their own stories about dealing with police and industry on their lands. Warning - this is going to be powerful. Our volunteers are helping build the new Healing Lodge for future healing gatherings. If you can't join us in person, please consider sponsoring this work. Thank you! Volunteers can get info on how to join the camp and share their skills and good energy. All ages are welcome. 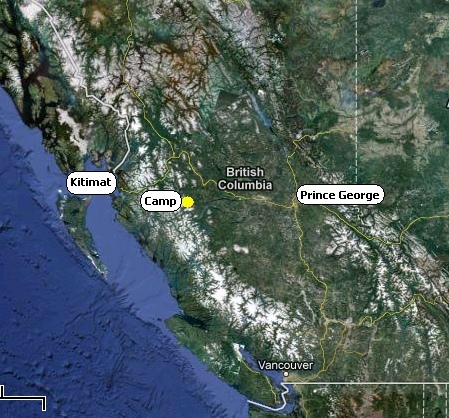 Unis'tot'en Camp is a reoccupation of traditional territory outside of reserve and treaty lands in northern British Columbia, Canada. The Unis'tot'en people were never conquered or driven from their land, and the courts have ruled that indigenous title still exists. The authorities may have trouble proving they can evict the camp. Now that the police have started harassing the camp, FAN is preparing a legal team and the Eco Warriors Legal Defence Fund to assist anyone who gets in trouble for protecting the planet. Support the legal fund or make a pledge for the camp today. Be a sponsor for the ones who are doing solidarity work year-round. Because we give back. VIC FAN is celebrating its ninth year on Coast Salish and Nuu-chah-nulth territory on Vancouver Island. Big cheers to everyone who took part in our victories! WildCoast and Forest Action Network are 100% home-grown and volunteer-led. Our projects are supporting Unis'tot'en Camp, the House of Solidarity, the Secwepemc Women Warriors, and the Eco Warriors Legal Defence Fund. A new report from the Energy and Policy Institute reveals the fossil fuel- and utility sector-funded network working to curb the proliferation of renewable energy in the United States. Authored by Gabe Elsner and Matt Kasper, 'Attacks on Renewable Energy Policy in 2015,' the 86-page report spotlights the bevy of coordinated attacks on renewable energy policy happening in 27 states across the nation. The report examines how this network flexes its muscle and advances corporate interests in statehouses nationwide. Look no further than the State Policy Network (SPN), an entity created by the American Legislative Exchange Council (ALEC) corporate bill mill, which acts as the central hub around which the rest of the spokes in the think-tank (or “stink tank”) and public relations wheel connect. Both of these groups play a central role in the report. “Once ALEC model bills are introduced, allied legislators and fossil fuel-funded front groups cite flawed reports to back up their reasoning to either repeal or weaken” laws favorable to advancing renewable energy, the report explains. But ALEC and SPN are just two examples and although they play a pivotal role, the report points to 23 other industry-funded front groups also part of the anti-renewable influence peddling machine. Others include names familiar to DeSmog readers, including the Koch-funded Americans for Prosperity and Institute for Energy Research, the Heartland Institute and Consumer Energy Alliance (CEA) and others. The report has citation after citation raising dire questions about the state, and often lack thereof, of U.S. democracy. But just as important is the premise it presents. In a nutshell, it's not just about money in politics and lobbying alone. It's that these industry-funded front groups play a central role in shaping the public narrative, providing cover to industry-funded politicians to do the bidding of corporate interests in statehouses nationwide, and thus shape the body politic at-large. The back-drop to all of this, of course, is climate change. And among the chief drivers of global warming are the same fossil fuel and utility industries that fuel this PR machine with their money to begin with. At the end of the day, they fear a major challenge to their corporate bottom lines. “Utilities and fossil fuel companies are alarmed at what the clean energy boom will do to their market share as the economics of [scale of] clean energy see continued improvement year after year,” the report states early on. It's a report with troubling findings, no doubt, but one well worth the read and keeping bookmarked as a go-to reference. ‘Could Be.’‘Might Be.’ ‘Can’t show or prove anything, but maybe.’ Is there any wonder that with such language coming lately from the “official” but secretive investigation of the July 17, 2014 crash of Malaysian Airlines Flight 17, there is little reason for confidence in a final report? And lots of reason for concern of what a flawed or reckless final report could spark? On August 11, the Dutch Safety Board and the ‘Joint Investigation Team’ investigating the MH17 crash issued a speculative statement saying they have discovered pieces among the debris they collected from the fields in eastern Ukraine where the plane came down that “possibly originate” from a spent Buk missile. They say they can’t be sure. “At present, the conclusion cannot be drawn that there is a causal connection between the discovered parts and the crash of flight MH17.” And they can’t show us anything. But they are making the statement anyway. The statement was reported widely by Western media along with predictable spin and wild interpretation. Western media has reported all along that the thinly-equipped self-defence forces in eastern Ukraine are the “likely” culprits in bringing down the MH17, “possibly” with backing coming from ‘somewhere’ in the Russian military command. Manipulation and misreporting of the known fact of the crash of the plane is disrespectful toward the victims and their loved ones. Much more troubling is the fact that it disregards the deadly context of events surrounding the investigation, including the string of military exercises upon which NATO is embarked in eastern Europe and now the latest news that Ukraine is moving heavy artillery back to the front line of its war in eastern Ukraine, to be unleashed on the civilian population. The recovery of the missile fragments adds to the bulk of evidence implicating pro-Russian fighters in the downing of the passenger jet, which killed 298 people. Moscow, which accuses the Ukrainian military of shooting MH17 out of the sky, recently used its veto at the United Nations Security Council to block the establishment of an international criminal tribunal to prosecute the case. War between Russia and the NATO alliance should be unthinkable. But a new study of recent military exercises suggests both powers are preparing for just that possibility. Researchers at a European think tank [the European Leadership Network] warned that while there was no evidence that either side intended to go to war, the increasing frequency and size of military exercises on both sides [sic] of the NATO-Russia border heighten the possibility of an unplanned incident that could spark a wider conflict (Read the report PDF). The finding raises the spectre of a continent-wide clash of conventional armies, the sort not seen since Russia and the Western allies combined to defeat Nazi Germany in the Second World War. The British government is piling on by announcing that it will double the number of Ukrainian soldiers and extremist militia members that it plans to train this year, from 1,000 to 2,000. Presently, Britain says it has 75 soldiers in the country. Speaking in Kyiv on August 11, British Defense Secretary Michael Fallon described the conflict in eastern Ukraine as “red hot”. Rebel forces in eastern Ukraine have been receiving vital humanitarian aid from the Russian government and from widespread citizen initiatives. They have also received important political/diplomatic support from the Russian government. The Russian government makes the utterly evident argument that Kyiv should respect the terms of the Minsk-2 ceasefire agreement it co-signed signed on Feb. 12, 2015 and negotiate the grievances which the population of eastern Ukraine has expressed over Kyiv’s radical, extremist turn to a pro-Europe, anti-Russia and pro-austerity orientation for Ukraine. The issuance of another unfounded, speculative accusation by the Dutch-led MH17 investigation, then seized upon and manipulated by reckless journalists and editors, is another reason why this investigation cannot be taken seriously. The Dutch government is refusing demands by Dutch media that it release documentation pertaining to its response to the crash last year. A formal request to this effect was made by RTL Nieuws. The government defends its refusal by saying that documents contain the names of individuals and that the release of the documents could have negative consequences for relations with other countries. Late last year, the Dutch news magazine Elsevier revealed some details of the secret agreement signed on August 8, 2014 by the four countries composing the so-called Joint Investigation Team investigating the disaster. The four are Holland, Belgium, Ukraine and Australia. (Malaysia was added to the JIT late last year following pressure and protest over its initial exclusion.) The secret agreement said that any one of the member countries of the JIT can veto release of any information gathered by the investigation. The implications of an official report that ‘goes rogue’ by leaving vital questions unanswered and throwing anti-Russia speculation and prejudice to the wind are very serious. The words ‘Russia’ and ‘Buk missile’ have been pounded out in tandem so frequently by Western governments and media during the past year that any speculative report of a “Buk” missile in relation to the MH17 crash just reinforces the ‘blame Russia narrative’ they have worked to establish. A survey of the circumstances of the crash and the composition of the investigation underlines the danger of the situation. The armed forces of Ukraine and quite possibly the extremist, right-wing militias allied with it possess the Buk missile system. The government in Kyiv failed to close the airspace over eastern Ukraine when it launched a war there in the spring of 2014. This flew in the face of decisions by the Federal Aviation Administration of the United States and major international airlines months before the MH17 crash to prohibit passenger planes from flying there. 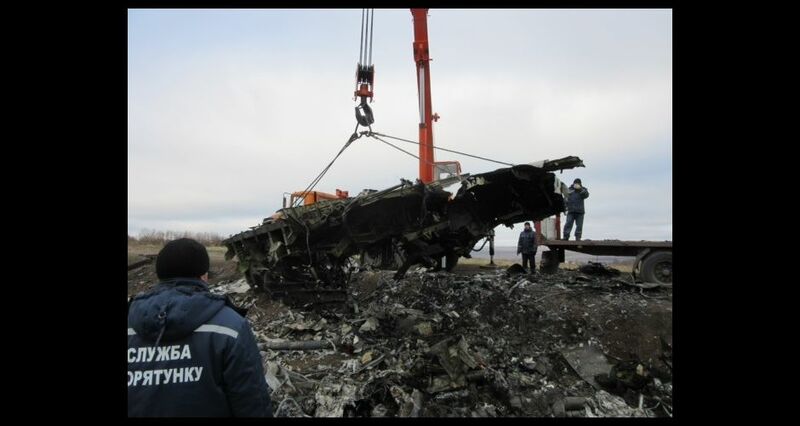 Following the crash/shoot down, Ukraine ignored the July 21, 2014 resolution at the Security Council demanding that the investigation be given unfettered access to the crash site. Investigators were forced in and out of the area, according to the exigencies of the war which Kyiv declined to put on hold. To the point where parts of the plane and parts of bodies are still being randomly discovered today by visitors to the scene. The circumstances of the crash should easily argue in favour of excluding Ukraine from the official, international investigation, or at the very least, they argue for including Russia since its border lies only a few dozen kilometers away from the crash site. But no, the JIT investigation is being conducted by governments that are hostile to Russia and to the pro-autonomy rebellion in eastern Ukraine. Malaysia showed its colours last month when it introduced a resolution at the UN Security Council on July 29 proposing that a witchhunt-style tribunal be established by the Security Council to investigate matters. The resolution was a win-win for the anti-Russia crowd. A special tribunal could conduct an investigation without having to go through the motions of impartiality required of the JIT. The terms of the Dutch-led investigation is that it establish the facts, not search for guilt. Russia vetoed the resolution. The Russian government argued that with two investigations already taking place, what was the purpose of adding a third? Russia’s suspicions were already on high alert given the fact that its offers to cooperate with the investigation have been rebuffed or treated at arm’s length. Progress towards justice must be seen. So far, we have seen nothing. The vetoed Security Council resolution looked for all the world as a staged ‘aha’ moment. As in, ‘Aha, what is Russia trying to hide by vetoing a tribunal?’ That’s exactly how much of Western media and Western governments reported the veto. So far, as I have reported, the Dutch Safety Board (DSB) stands out for an investigation that has failed to bring to light and analyze the most obvious sources of data or explain why the Board, the Dutch police and prosecutors have failed to do this. For example, in public disclosure so far, there has been no analysis of U.S. satellite images, including infrared images, of the MH17 site just before, during, and just after the strike and crash, and no disclosure of whether the Dutch investigators requested this data, what they were told, or if the Dutch believe the data exist and is being withheld from the investigation. I’ve seen no DSB analysis of the silence on the last four seconds of the Cockpit Voice Recorder, and no explanation of how this is possible. There has been no published analysis of the Ukrainian air traffic control radar and radio tapes or confirmation of whether Kiev handed them over to the Dutch, and if they haven’t been handed over, why not. So far, too, there has been no disclosure of evidence from the autopsy and post-mortem data collected from the victims’ bodies. What is missing is obvious. So what to make of particles of evidence whose provenance, authenticity and authority of disclosure are far from obvious? The Dutch want to be thought of as careful, methodical, clean. Why so careless all of a sudden? The “official” investigation is proceeding at the speed of a turtle and in unprecedented secrecy for a civilian airline disaster. Meanwhile, journalists and hostile governments are promoting a ‘blame Russia’ narrative and speculating on worst case scenarios. It’s a dangerous and toxic mix. This article also appears on Counterpunch, Aug. 14, 2015. 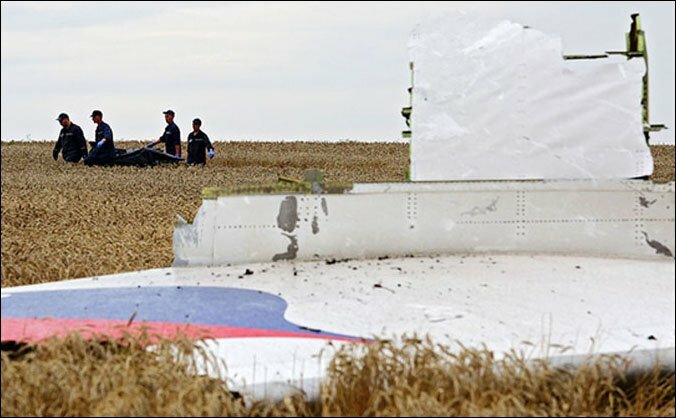 The website New Cold War: Ukraine and beyond contains an extensive dossier of articles on the July 17, 2014 crash of Malaysian Airlines Flight 17. These include the extensive writings on the subject by U.S. journalist Robert Parry. It is mainly because of the collapse of integrity inside the Western political elites, mass media, as well as in academia and the art worlds. “We wanted to act like some smaller regional United States, therefore we should pay for those 1.8 million refugees who were forced to cross the border and settle in our camps.” Turkey is paying. As aggressive as it is, it has at least some dignity left, compared to the West. Or: “Your continent robbed me of my livelihood”. Wolf Awareness has erected a double-sided billboard along Highway 2 between Calgary and Red Deer alerting visitors and residents to the province’s misguided war on grey wolves. The billboard highlights the dire situation wolves are facing and heightens awareness about preserving this ecologically influential species as an important part of Alberta’s intact environments. Grey wolves in Alberta are exposed to lethal threats from every angle, including aerial gunning from helicopters, choking neck snares, and poison-baits that lure wolves and many other species to excruciating deaths. Alberta’s liberal hunting and trapping regulations, as well as unregulated private bounties, assure that the devastation of wolf families occurs nearly year-round. Under the pretext of protecting caribou in habitat that is 95 per cent disturbed by oil and gas development, more than 800 wolves in the Little Smoky area were strangled by snares, gunned down from helicopters, and poisoned with strychnine over seven years. Many biologists and wildlife experts consider these killing methods inhumane and unethical. Caribou are endangered not because of wolves, but because the province has knowingly allowed industry to destroy essential caribou habitat for decades. Snares intended for wolves “accidentally” killed at least 676 other animals, including two caribou. In a recent review of trapping as a wildlife management technique in the Journal of Canadian Wildlife Management and Biology, Gilbert Proulx and his co-authors reveal that Canadian snares are considered inefficient at killing and can cause tremendous pain and enduring suffering to animals. In those districts alone, the combined mortalities are equivalent to 10 or more wolf packs being destroyed or facing the trauma of having individual wolves taken from their families and purposeful way of living. Alberta is the only province that still uses strychnine to kill wolves and coyotes. It is past time to ban these dangerous toxins, as others have done. Knowing how many animals in addition to wolves died because of strychnine poisoning in the Little Smoky area is impossible because the victims’ bodies could not be accounted for. Strychnine has long been judged by the Canadian Council on Animal Care as an inhumane way to kill animals and therefore inappropriate for euthanasia. Animals poisoned with strychnine die traumatically from asphyxiation caused by paralysis of the respiratory muscles. Considering that euthanasia implies death without signs of panic, pain or distress, minimum time to loss of consciousness, and minimal undesirable physiological and psychological effects on the animal, death through poisoning with strychnine does not comply with CCAC guidelines. Raincoast Conservation Foundation large-carnivore experts Heather Bryan and Paul Paquet, along with colleagues at the University of Calgary and Israel’s Bar-Ilan University have authored a seminal scientific paper, published in the British journal Functional Ecology, which suggests wolves that are heavily hunted or subjected to intensive lethal control experience significant social and physiological stress. The scientists used tufts of hair to measure hormone levels in wolves subject to different hunting pressures in Canada. Although the long-term effects of chronically elevated stress and reproductive hormones are unknown, there are potential implications for wildlife health, welfare, long-term survival and behaviour. The effects of stress are often subtle, but the ensuing harm can be acute, chronic and permanent, sometimes spanning generations. Ignored in all the killing is the evidence that exploited wolf populations lead to smaller and unstable packs, smaller territories, and potentially more prey killed per capita by these inexperienced wolf packs. All of this increases conflicts with humans, who see wolves as competitors for livestock as well as wild game. Wolves are recognized globally as predators playing a key role in the top-down regulation of ecosystems, yet they still struggle to find safety in Alberta. Will the province’s new leaders have the vision to right the wrongs being done to this highly persecuted species? The opportunity to do things differently remains. Sadie Parr is executive director of Wolf Awareness Inc. and Chris Genovali is executive director of Raincoast Conservation Foundation. The Pentagon's new Law of War Manual(LOWM) sanctioning nuclear attacks and the killing of civilians, "reads like it was written by Hitler's Ministry of War," says international law authority Francis Boyle of the University of Illinois at Champaign. The new document seeks to distinguish between “legitimate” and “illegitimate” acts of military violence against civilian targets, using the criterion of military necessity," points out Peter Martin of the World Socialist Website. "Thus, acts of mass slaughter of civilians could be justified if sufficient military advantages were gained by the operations." "that any deliberate targeting of civilians was illegal and a war crime." Legitimizing the use of nuclear weapons. LOWM states, "There is no general prohibition in treaty or customary international law on the use of nuclear weapons." This flies in the face of a number of existing international covenants. Under the UN Charter as interpreted by the World Court in its Advisory Opinion on the Legality of the Threat or Use of Nuclear Weapons, even threatening to use nuclear weapons, as the U.S. and Israel have threatened Iran, is illegal and thus a war crime. Authorizing the use of banned incendiary weapons such as napalm, herbicides (as Agent Orange in Viet Nam), depleted uranium munitions (as used in Iraq). Napalm, for example, is banned under Protocol III of the 1980 UN Convention on Certain Conventional Weapons. Defends drone missile attacks, both by the Pentagon and intelligence outfits such as the Central Intelligence Agency, declaring flatly: "There is no prohibition in the law of war on the use of remotely piloted aircraft…" To the contrary, targeted killing off the battlefield is prohibited. My best guess: it was the summer of 1969. I had dropped out of graduate school where I had been studying to become a China scholar and was then working as a “movement” printer -- that is, in a print shop that produced radical literature, strike posters, and other materials for activists. It was, of course, “the Sixties,” though I didn’t know it then. Still, I had somehow been swept into a new world remarkably unrelated to my expected life trajectory -- and a large part of the reason for that was the Vietnam War. Don’t get me wrong. I wasn’t particularly early to protest it. I think I signed my first antiwar petition in 1965 while still in college, but as late as 1968 -- people forget the confusion of that era -- while I had become firmly antiwar, I still wanted to serve my country abroad. Being a diplomat had been a dream of mine, the kind of citizenly duty I had been taught to admire, and the urge to act in such a fashion, to be of service, was deeply embedded in me. (That I was already doing so in protesting the grim war my government was prosecuting in Southeast Asia didn’t cross my mind.) I actually applied to the State Department, but it turned out to have no dreams of Tom Engelhardt. On the other hand, the U.S. Information Agency, a propaganda outfit, couldn’t have been more interested. Only one problem: they weren’t about to guarantee that they wouldn’t send a guy who had studied Chinese, knew something of Asia, and could read French to Saigon. However, by the time they had vetted me -- it took government-issue months and months to do so -- I had grown far angrier about the war, so when they offered me a job, I didn’t think twice about saying no. For a while, I had also been working as a draft counselor with a group whose initials, BDRG, I remember. A quick check of Google tells me that the acronym stood for the Boston Draft Resistance Group. Somewhere in that period, I helped set up an organization whose initials I also recall well: the CCAS. Though hardly an inspired moniker, it stood for the Committee of Concerned Asian Scholars. (That “concern” -- in case it’s not clear so many years later -- involved the same war that wouldn’t end.) With a friend, I designed and produced its bulletin. As one of those “concerned scholars,” I also helped write a group antiwar book, The Indochina Story, which would be put out by a mainstream publishing house. While the draft was a factor in the growth of war consciousness, it was hardly the only one. It’s easy to forget that a generation raised in the Golden Fifties believed the American system would work for them and that, if it didn’t, it was the obligation of the citizen to try to fix it. Those young people were convinced that, if you spoke up loudly enough and in large enough numbers, presidents would listen. They also believed that you, as an American, had an obligation to step forward, to represent the best in your country, to serve. Hence my urge to join the State Department. In other words, I came from a generation primed -- in part by the successes of the Civil Rights Movement (when it seemed that presidents were listening) -- to believe that, in a democratic country, protest worked. The importance of an antiwar movement that refused to stand down, that -- while two administrations continually escalated the killing in Vietnam and spread it to Laos and Cambodia -- never packed up its tents and went home, can’t be emphasized too strongly. Its refusal to shut up brought Vietnam, both literally and figuratively, to America’s doorstep. It made that grim war a living (and dying) presence in American lives -- and no less important was what it made present. Somehow, from so many thousands of miles away, we were turned into witnesses to repeated horrors on a staggering scale in a small, largely peasant land: free-fire zones, the body count, torture, assassination, war crimes, the taking of trophy body parts, and above all the feeling that a spectacle of slaughter was occurring and we were responsible for it. We here at home had a growing sense of what it meant for the U.S. military to fight a war against guerilla forces (which, at least on the left, came -- unlike the Islamic insurgents of the twenty-first century -- to look ever more heroic and sympathetic), with every means available short of nuclear weapons. That included bombing campaigns that, in the end, would outdo in tonnage those of World War II. If you were in the antiwar movement in those years, you couldn’t help coming across testimony by American soldiers who had been in Vietnam and were ready to paint a nightmarish picture of what they and their companions had seen or done there. In the growing alternative or (as it was romantically termed then) “underground” press of those pre-Internet days, snapshots of unbearable atrocities were soon circulating. These undoubtedly came directly from soldiers who had snapped them, or knew those who had, or were like the servicemen -- stirred to action by a growing military antiwar movement -- who appeared at the Winter Soldier Investigation in 1971. There, they essentially testified against themselves on the commission of war crimes. Others similarly moved handed such photos over to alternative publications. In those years, thanks to the efforts of the antiwar movement, the Vietnamese -- the dead, the wounded, the mistreated, as well as “the enemy” (“Ho, Ho, Ho Chi Minh, NLF Is Gonna Win!”) -- seemed to come ever closer to us until, though I was living in quiet Cambridge, Massachusetts, I sometimes had the eerie feeling that Vietnamese were dying right outside my window. In the post-9/11 American world, that sounds both ludicrous and histrionic. You’ll have to take my word for it that I’m not exaggerating and that the sensation was visceral indeed. I no longer know what possessed me to do so, but it became an almost obsessional activity. I watched at least 30 to 40 of them, no small feat in the era before you could find anything you wanted online at a moment’s notice. Keep in mind that those films from the 1930s, 1940s, and 1950s -- grade B-westerns, John Wayne-style World War II movies, and the like -- were for me the definition of entertainment sunny side up. I had only the fondest memories of such films, in part because they were bedrock to the American way of life as I understood it. You always knew what to expect: the Indians (or Mexicans, or Japanese) would fall in vast numbers, the cavalry would ride to the rescue in the nick of time, the Marines -- it hardly needed to be said -- would advance triumphantly before the movie ended, the West would be won, victory assured. It was how it was and how it should be. 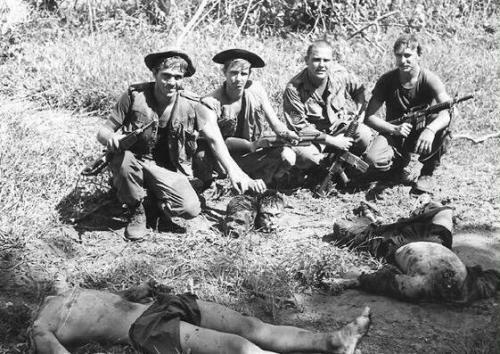 Imagine my shock, on looking at those films again so many years later -- with that visceral sense of Vietnamese dying in my neighborhood -- when I realized that the sunniest part of my childhood had been based on a spectacle of slaughter. The “Vietnamese” had always been the ones to fall in staggering numbers just before the moment of victory, or when the wagon train again advanced into the West, or the cowboy got the girl. Believe me, looking back on one of the sunniest parts of my childhood from that antiwar moment was a shock and it led me to produce “Ambush at Kamikaze Pass,” the first critical essay of my life, for the Bulletin of Concerned Asian Scholars. “Anyone who thinks the body count is a creation of the recent Indochinese war,” I wrote then, “should look at the movies he saw as a kid. It was the implicit rule of those films that no less than ten Indian (Japanese, Chinese...) warriors should fall for each white, expendable secondary character.” Almost a quarter century later, it would become the heart of my book The End of Victory Culture. In other words, amid all the military failures of this era, there was a single hardly mentioned but striking victory: no antiwar movement of any significance proved to have staying power in this country. Osama bin Laden can, at least in part, be thanked for that. The 9/11 attacks, the shock of the apocalyptic-looking collapse of those towers in New York, and the loss of almost 3,000 innocent civilians inoculated America’s second Afghan War -- launched in October 2001 and still ongoing -- against serious protest. But as soon as the Bush administration launched its much-desired invasion, the domestic movement against it began to crumble. Within a couple of years -- with the exception of small groups of antiwar veterans -- it was essentially dead. In the end, Americans would generally live through their twenty-first-century wars as if they weren’t happening. There would neither be an everyday antiwar movement into which anyone could “drop out,” nor a population eager to be swept into it. Its lack would be a modest tragedy for American politics and our waning democracy; it would prove far more so for Afghans, Iraqis, Yemenis, and others. Start with the drone, a robotic machine that guarantees one thing in the ongoing spectacle of slaughter: no American combatant will ever die in its operations, no matter how many Afghans, or Yemenis, or Iraqis, or Syrians, or Pakistanis, or Libyans, or Somalis may die when it releases its aptly named Hellfire missiles. From that heroic investigative crew, the Bureau of Investigative Journalism, we have an approximation of the casualties on the ground from Washington’s drone assassination campaigns across the Greater Middle East, and they run into the thousands (including hundreds of children) and lots of what might be called the mistaken dead. Keep in mind that the most basic drone attack of Washington’s wars in the Greater Middle East has been the “signature strike,” as it’s euphemistically known. These target not specific individuals, but groups on the ground that seem to fit certain behavioral patterns suspected of being telltale marks of terror outfits -- particularly young men with weapons (in regions in which young men are likely to be armed, whatever their affiliations). Or consider U.S. air strikes targeting the Islamic State’s forces in Iraq and Syria. Again, with the grim exception of one Jordanian pilot, there have, as far as we know, been no casualties among American and allied combatants. That shouldn’t be a surprise, since the Islamic State (like just about every group the U.S. Air Force has faced in the twenty-first century) is incapable of bringing down a fighter jet. In the last year, according to a recent report, the U.S. and its allies have launched more than 5,700 strikes against Islamic State operations, claiming at least 15,000 dead militants. (Such figures, impossible to confirm on the ground under the circumstances, are undoubtedly fantasies.) The Pentagon has acknowledged only two civilian deaths from all these strikes, but a new study by Airwars of what can be known about just some of them indicates that hundreds of civilians have died, including more than 100 children. To offer one more example, since December 2001 U.S. air power has obliterated at least eight wedding parties in three countries (Iraq, Afghanistan, and Yemen). According to my count (and as far as I know there are no others), just under 300 people died in these eight strikes, including brides, grooms, and celebrants of every sort. Each of these incidents was reported in the western media, but none had the slightest impact here. They went essentially unnoticed. To put this in perspective, imagine for a moment the media uproar, the shock, the scandal, the 24/7 coverage, if anyone or any group were to knock off a single wedding party in this country. And this just scratches the surface of Washington's long “global war on terror.” Yet without an antiwar movement, the spectacle of mayhem and slaughter that has been at the heart of that war has passed largely unnoticed here. Unlike in the Vietnam years, it’s never really come home. In an era in which successes have been in short supply for two administrations, consider this a major one. War without an antiwar movement turns out to mean war without pause, war without end. Admittedly, American children can no longer catch the twenty-first-century equivalents of the movies of my childhood. Such films couldn’t be made. After all, few are the movies that are likely to end with the Marines advancing amid a pile of nonwhite bodies, the wagon train heading for the horizon, or the cowboy galloping off on his horse with his girl. Think of this as onscreen evidence of American imperial decline.